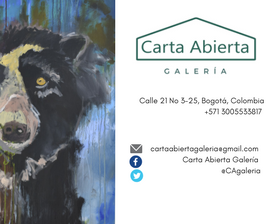 Pilar Quinteros is an artist that experiments life from an aesthetic point of view. According to the graduated in Art of the Pontificia Universidad Católica de Chile, fragility and delicacy are constitutive elements that shape human existence. Time, forgetfulness and memory are some of the concepts that are included in this artist’s work. Many of them deal with urban areas and how they testify about human beings mortality. Quinteros, who has have an outstanding experience at the Bienal de Sao Paulo, talked to Arte Al Límite about her art and her new projects. 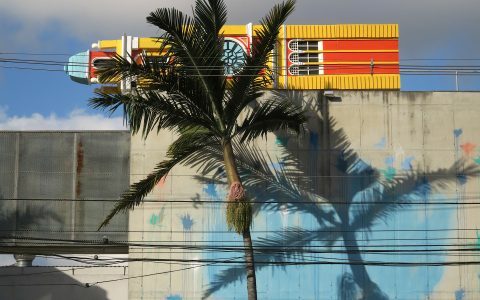 Personally, how’s the experience been at the Bienal de São Paulo? Very good, I’m very happy about Jochen taking notice of me and choosing me to participate at the bienal. It’s been really excited being able to share my work with so many people and meet the other participant artists. Also, it’s been a unique opportunity for me to meet São Paulo, which is a very fun city. Actually I don’t make previous documentation, but my work is the documentation itself. It’s not the final result, but the complete experience of doing something from an original idea and making anything possible to be able to see what I imagine at the beginning, with my effort. Accomplish something similar to the original idea is very satisfying and exciting for me for all I had to do to achieve it, so the process can’t be left out. To Señales de Humo I used natural materials, because the object I built in the middle of the jungle stayed there, so it was important for it to be degradable but without contaminating. I used logs, grass, sticks, reed rope and plaster. The last two I carried them there with me. Which one you think is the main difference between drawing and film recording as an expressive means? At least in my work, drawing has always been the origin of everything; it’s the way I think. Then film recording is what gathers every stage of the work together. Lately I’ve venture more to build through film recording and I hope to keep learning in order to discover new things, but film recording is a tool I’ve known for just a few years. On the other hand, drawing is something I’ve been doing since I can remember and it’s my favorite means of all. Regardless the Bienal and your work there… Tell us a little bit about the importance of the historical and territorial element in your work. History as well as territory are human being’s constructions that in turn define the parameters of their existence, therefore can’t be omitted and you can’t do anything that is not engraved on those limits. These, however, can be modified; something we constantly do. My work, somehow, is to think those limits and their malleability. On the other hand, how do you perceive fragility in human constructions? Everything we build is fragile because we are too. As mortal beings we are not able to build anything eternal, because we don’t even understand what the word means, or if actually exists something with those characteristics in life. And, how do you perceive architecture’s roll regarding memory? Architecture is made to be habitable, that is its essential function. Buildings that survive through time are remains of the history and account for cultural aspects of determined periods. In that sense, they can be useful to remember and understand aspects of the past. I’m still recovering from my work in the jungle.